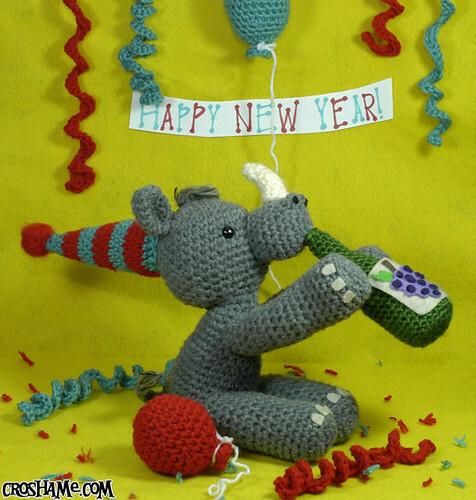 Hope everyone has a safe New Year’s Eve tonight! 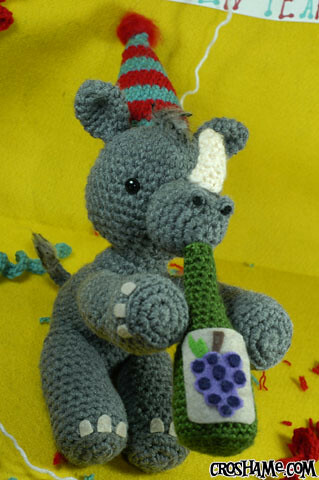 Wino Rhino the Party Animal! … but New Year’s is definitely Wino’s favorite holiday. 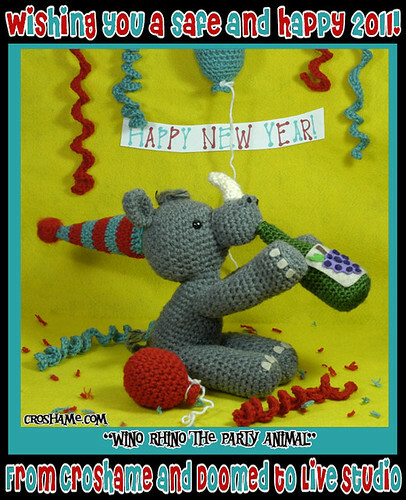 You can find Wino Rhino drinking himself into next year over at the Croshame Etsy shop. 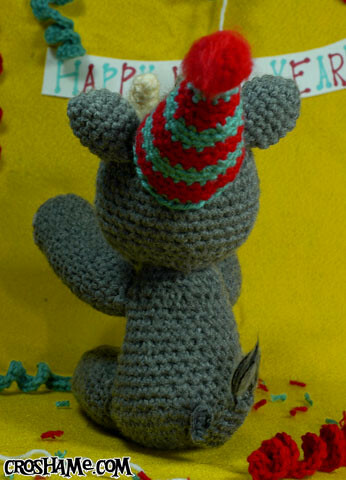 He also comes with the streamers, balloons and yarn confetti shown. This entry was posted on December 31, 2010 by croshame. It was filed under Croshame . LOL – this is awesome! You are so creative. Wishing you wonderful Happy New Year.